A high quality corporate pen designed to excel. Derofe have delivered the finest pens since 1947 and the Banker continues this tradition in fine style. 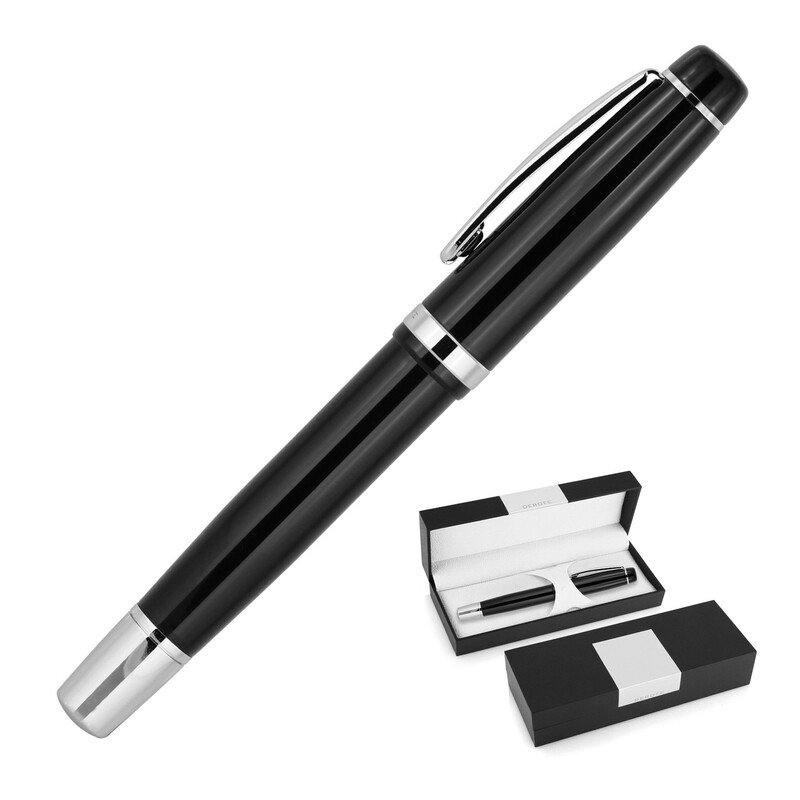 This quality black pen comes in black with a chrome trim and is presented in an immaculate black gift box. These pens include a Schmidt ceramic refill made in Germany with a 0.07 medium nib. Get your branding on these pens today!